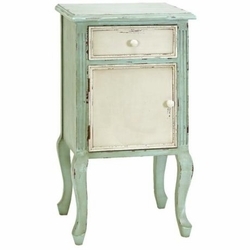 The homey appeal of this distressed end table adds instant cozy to your favorite room. 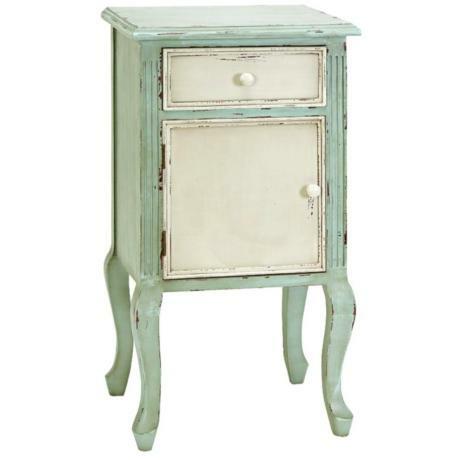 This classic accent table design comes in a light aqua green finish. It's a beautiful look featuring carved style details, gracefully cabriole legs and crafted with select hardwoods. Makes a wonderful end table or night stand.